King was beautiful, and he was big. In fifty odd years around horses I had never seen a better breed specimen. 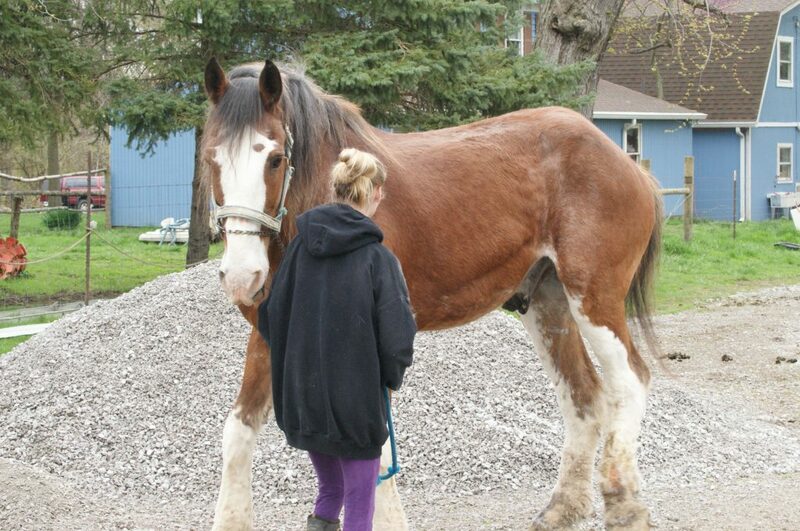 Picture a nineteen hand Budweiser Clydesdale. But he was thin, and King was terribly ill. 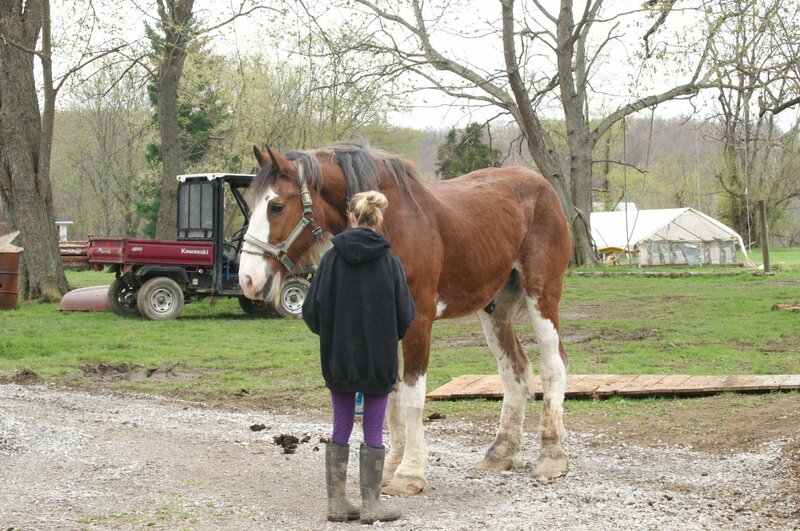 He had been used as a carriage horse until he was too sick to work, then abandoned in a pasture, presumably to die. From a distance he wouldn’t have looked too bad. His feathers hid the mess his legs had become, and it wasn’t until the smell got to be too bad that he was retired. We were called by some friends who had found him and couldn’t bear to leave him to die. His feet were in terrible condition, and they knew we were collecting data on Equinell™ Hoof Oil, could we help? His feet were in terrible condition. Yes, we could, or at least we would try. But what we confronted was horrifying. King left wet hoofprints where he walked, from wound drainage. There were maggots everywhere. He was so uncomfortable he couldn’t stand still, but he was too exhausted to walk or eat. They had tried to wash his legs, but he had become combative as soon as he saw the hose. Even light touch on his legs caused severe pain. We couldn’t even begin to evaluate his feet, because his legs were so swollen they couldn’t flex. He couldn’t lift them. Over the next two days King was treated with massive doses of antibiotics, the feathers were clipped as short as possible, and the maggots were treated with repeated sprays of insecticide, to kill them as they hatched out, deep in the wounds and folds of skin. He was given tetanus antitoxin. Finally we could begin to address the condition that started it all: chronic progressive lymphedema, also known as CPL. Where you could see it, the skin was raw and red, with a granular texture. Most of his lower legs were covered with a concretelike layer of hair and drainage. In the early stages of CPL the skin itches unbearably, and the horse will rub on anything it can find. In King’s case it had felted the hair into a mat half an inch thick, covering more than half the skin on his lower legs. He had wounds everywhere. Touch was still painful, so we could not remove the concretions. Everywhere his legs were covered with scars. I had never seen so many scars before. Flexing his pasterns to look at his feet was impossible. He had nodules like bunches of grapes clustered so tightly around his fetlocks and pasterns – some the size of golf balls – that he could not pick his feet up normally. These were the source of the rotting meat smell. Some were draining black goo. This was simply overwhelming. The infections were so severe, and so big, just treating his feet wasn’t going to help him. By this time we knew enough about CPL to know there was no way of treating a case this advanced. But King wasn’t ready to die, and we couldn’t have walked away and left him. 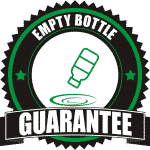 The antibiotics had worked enough to dry his legs a little, and we had a fresh stock bottle of Equinell™. We had never used it on such a massive wound, but it worked on feet. The grapelike nodules were caused by the same infection we were treating in feet. We had used in on dogs with mange, and it had worked. King had a raging case of mange mites. It had worked on mixed bacterial infections. We set to work, carefully swabbing the skin with Equinell™ Hoof Oil. Where the concretions kept us from touching the skin we saturated them, as best we could. It wasn’t easy. King was in pain, and he couldn’t stand still. Although he never tried to hurt us, he was dangerous to work around. With most horses you can brace your shoulder on their barrel, and keep yourself from slipping underneath, but King was too tall, and too thin. Altogether I think we covered a little less than half of the skin, and more than half of the concretions. Three days later we were delighted to find a much happier horse. His skin was still tender, but he didn’t react to light touch, and it was mostly dry. We had to remove the concretions so we could treat the skin underneath, and that was a problem. King still wasn’t about to tolerate a hose. He wasn’t in the least afraid of the hose itself, but he made it very clear that washing his legs was a nonstarter. This is typical of a horse with CPL, we learned. Water seems to greatly increase the discomfort, and they quickly learn to avoid it. However, in this case it was necessary, and we could only hope it wouldn’t be too bad. We filled a bucket with warm water, and began to scrub with Dawn and a brush. King flinched at first, but apparently found it wasn’t uncomfortable any longer. That was the first hint we had that it was working. We carefully scrubbed away as much of the crud as we were able. At first it seemed like King was kicking at the brush, but we discovered that in fact he was trying to get us to scrub harder. The skin was still raw, but in most of the areas it looked like it was beginning to heal, at least a little. Finally, we dried him off as best we could, and recoated his legs with the hoof oil. A week later the process was repeated. This time he was much easier to work around. He didn’t move constantly, allowed us to hose his legs, and the skin was clearly healing very well. The nodules had shrunk enough for the farrier to cut his feet down (removing about four inches of overgrown hoof). He still leaned into the scrub brush, but the itching was reduced, and he had stopped biting his legs. The feathers were regrowing. King looked fabulous. The smell was gone, and he was gaining weight. I will never forget that day. As I took his halter off, King pressed his forehead into my arms, and just stood there. The horse that couldn’t stand still, who should have been dead, was asking for hugs. I hugged him. I fed him a few peppermints, and I told him I’d see him in a week. Then I left. Six days later King collapsed in the pasture. The mare in the next field had come into heat, and King had put on a show for her until his heart failed. At twenty five years of age, the strain was just too much. His legs were healing well, and the nodules were draining by themselves; we were crushed by his death, but glad to know he had died comfortable and happy. Notes: We now use Equinell™ Shampoo instead of the Hoof Oil on skin. It seems to work better. 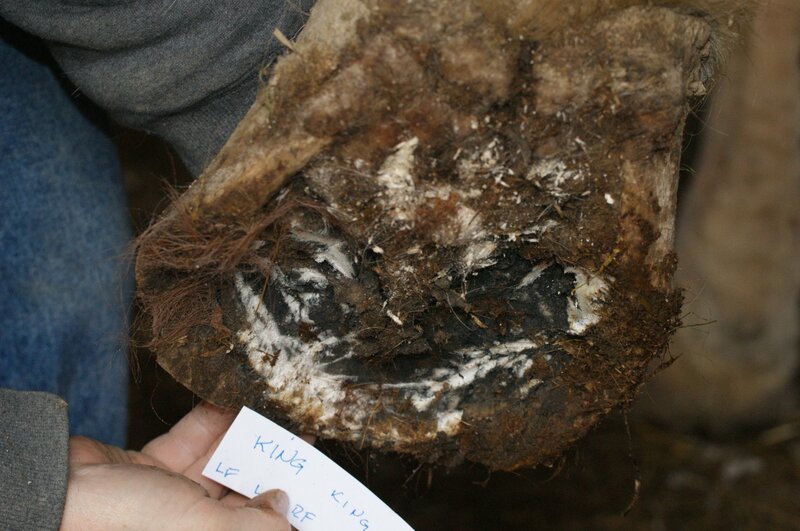 We believe the grapelike nodules in CPL are the direct result of thrush in the hoof spreading to the skin on the legs. Treating the hooves for thrush and other infections should help prevent nodules from forming. The ergots on the backs of the fetlocks seem to be a reservoir for infection. These should be treated at the same time as the hooves. Equinell™ Shampoo should be sufficient, (but it is always a good idea to put a few drops of Oil on the ergots if you are treating the feet). Mange mites are probably the major cause of the itching, and they are extremely contagious. Precautions should be taken to prevent them from spreading from horse to horse; however, if one horse has them they will spread through social behaviors. Assume every horse in that group is infected. There are three important markers for when to scrub. First, and most important, the itching. Second, watch for skin tears (scratches). Last, the ergots should be short and dense. If they start to grow long it’s time to scrub. When you feel the skin under the feathers you will probably find deep, ropy scars. These get compressed by movement into platelike structures. In themselves these do not cause problems. But in between the conditions are perfect for infections of every sort. So check them frequently for swelling, moisture, and itching. A horse that has had CPL has most likely had maggot infestations, and when you touch between the shelves of scarring the horse will interpret the movement as maggots. Stamping is involuntary and often violent. The horse is not trying to hurt you. But stay clear, and be very careful.